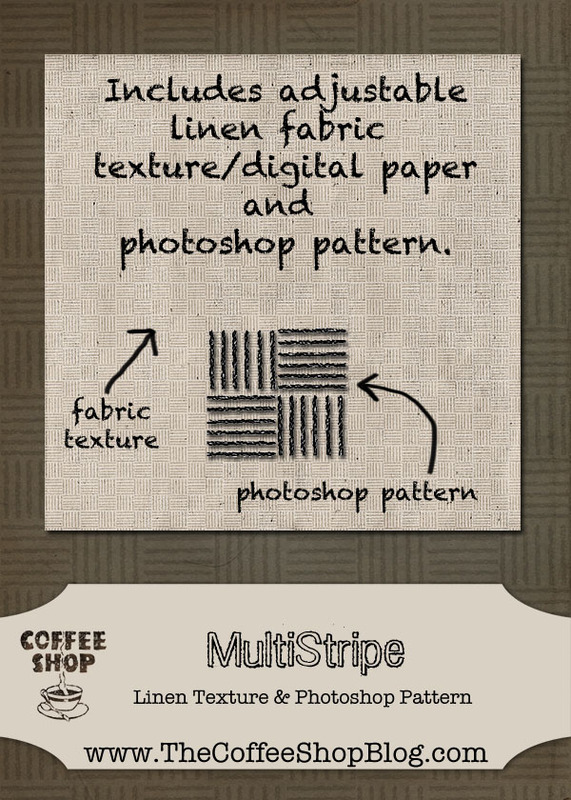 The CoffeeShop Blog: CoffeeShop MultiStripe Linen Texure/Paper and Pattern! CoffeeShop MultiStripe Linen Texure/Paper and Pattern! I was making some new blog backgrounds and wanted to share this new Photoshop/PSE pattern and linen digital paper I designed. I think it is really subtle and pretty and would look great on storyboards, frames, blog/website backgrounds, cards, and scrapbooking. I included the pattern, a layered adjustable linen texture (you can change the color and amount of texture, must have Photoshop or PSE to adjust), and a jpg version of the linen paper that can be opened in any editing program. 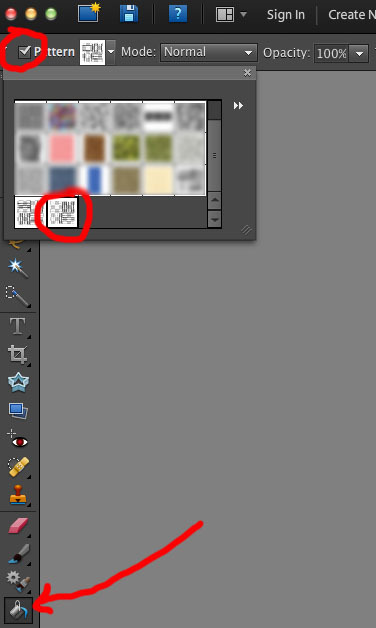 If you want to load the pattern, left click on it and "open with" Photoshop or PSE. Then open your program and click on the little paint bucket icon and then select Pattern and find the pattern in the pattern pane. Make a new layer over your image, select it, and click on the layer and the pattern will "pour" in. This is just the basics, you can use patterns in so many ways. 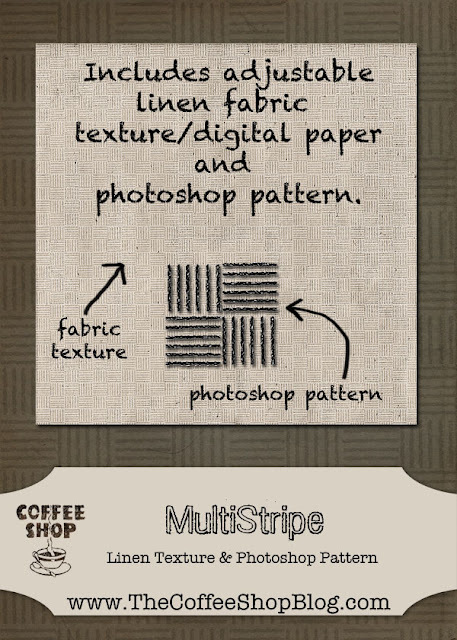 Download the free CoffeeShop MultiStripe Set! You can also download it here. Thank you so much for this post. I want to let you know that I posted a link to your blog in CBH Digital Scrapbooking Freebies (please, notice the new url for my blog), under the Page 1 post on Sep. 06, 2012. Thanks again. Does this not work on white areas? I'm using this as a texture in a PSE project. An overlay layer similar to the 8/20 Custom Textured Paper instructions. It works perfectly on everything except where there is white.